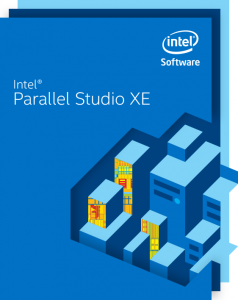 Intel® Parallel Studio XE 2017 tool suite simplifies the design, development, debug, and tuning of code that utilizes parallel processing to boost application performance. Get more application performance with less effort on compatible Intel® processors and coprocessors. 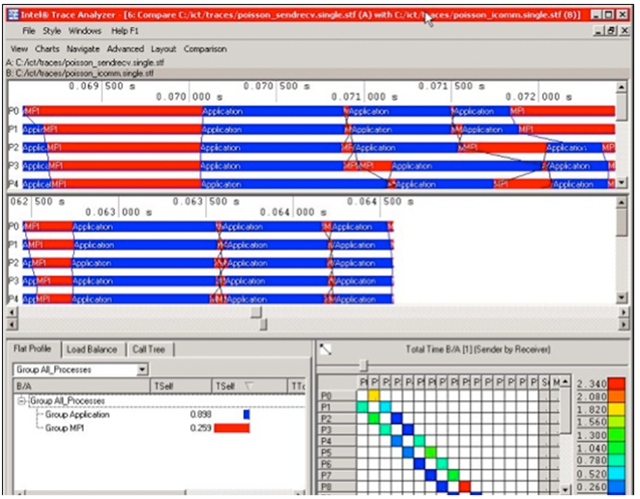 Composer* Edition includes compilers, performance libraries, and parallel models optimized to build fast parallel code. Professional* Edition includes everything in the Composer edition. 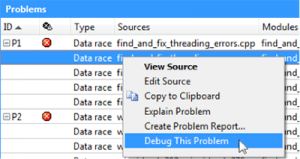 It adds performance profiler, threading design/prototyping, and memory & thread debugger to design, build, debug and tune fast parallel code. *Intel Parallel Studio Composer and Professional Editions are available for Fortran or C++, or Fortran and C++. If you purchase the standalone Fortran or C++ version the other language will be excluded. 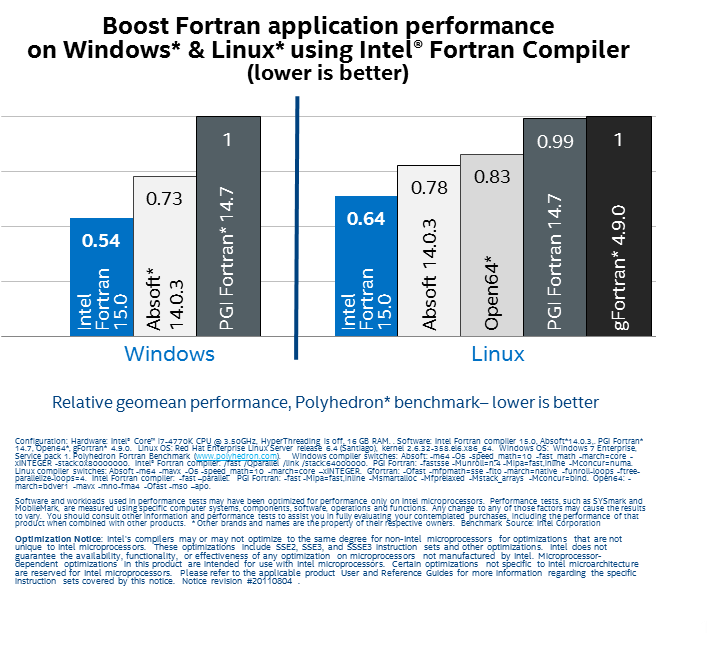 Boost performance with Intel C++ and Fortran compilers combined with parallel models and optimized libraries for Windows*, Linux* and OS X*. 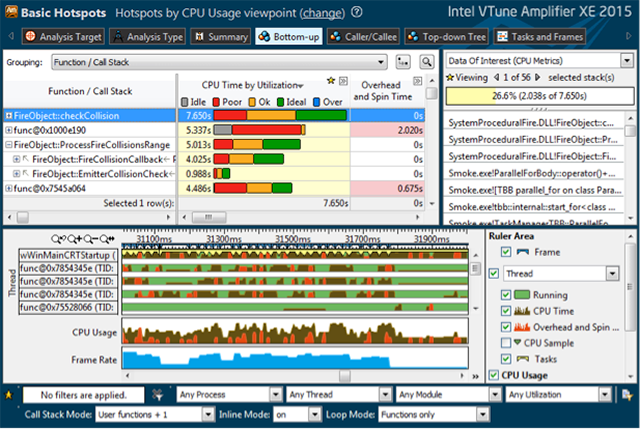 Optimize serial and parallel performance with an advanced performance and thread profiler (Intel® VTune™ Amplifier XE). Tune C, C++, C#, Fortran, Assembly and Java* applications. 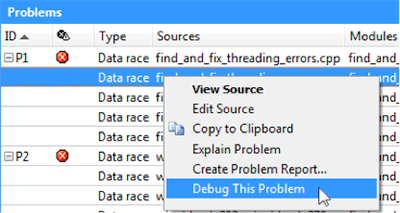 Find bugs before they happen with an easy to use memory and threading debugger (Intel ® Inspector XE) for C, C++, C# and Fortran applications. 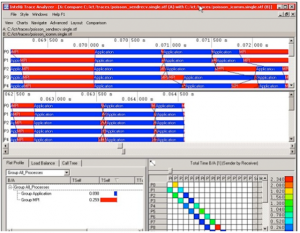 Find the greatest parallel performance potential and identify critical synchronization issues quickly with a threading design and prototyping tool (Intel® Advisor XE) for C, C++, C# and Fortran applications. 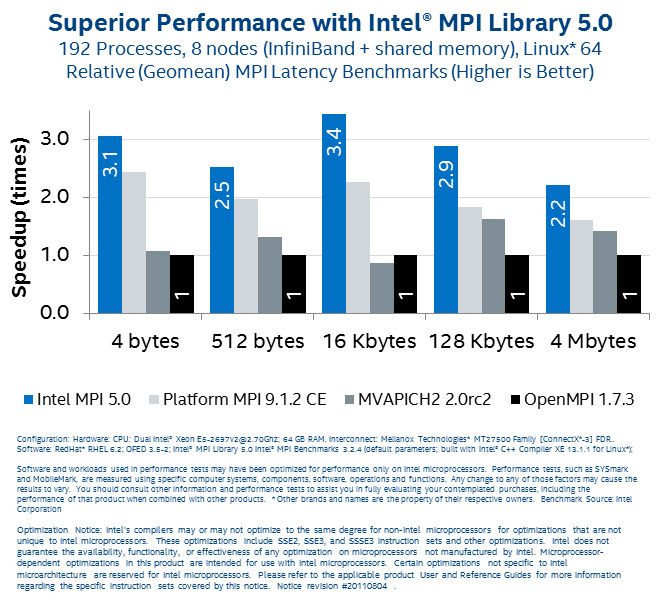 Achieve high performance, low latency MPI communications using the latest MPI 3.0 standard with Intel’s MPI library. 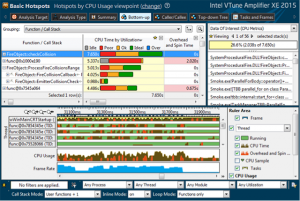 Use the MPI debugger and profiler (Intel® Trace Analyzer and Collector) to understand MPI application correctness and behavior by visualizing applications behavior. Will Intel® Parallel Studio XE 2017 work with my existing environment? Yes. Our tools plug seamlessly into Visual Studio* and the GNU tool chain to keep you productive while preserving your development environment investment. Intel® Parallel Studio XE offers excellent compatibility with leading compilers. Intel tools also support development and maintenance of software targeted to run on systems using processors compatible with the Intel® architecture. How does a developer start developing parallel programs to take advantage of Intel® processors? 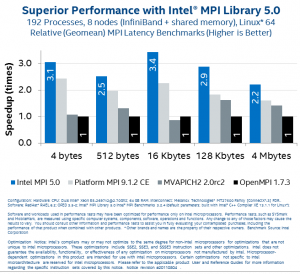 Optimizing for today’s multi-core platforms is the best way to be ready to use Intel® Many Integrated Core Architecture (Intel® MIC Architecture). Adopting Intel® Software Development Tools and programming models today will protect your programming investment moving forward as new processor technologies are introduced. 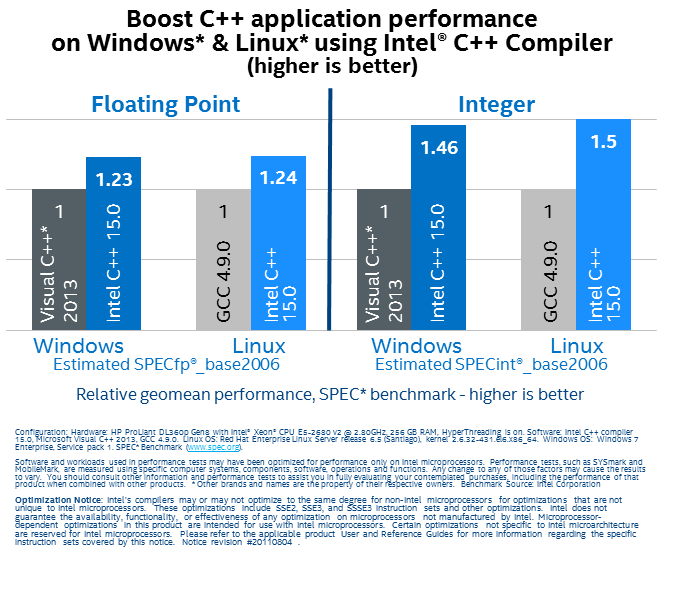 C and C++ programmers should start with Intel® Threading Building Blocks (Intel® TBB) and Intel® Cilk™ Plus, which are included in Intel® Parallel Studio XE and Intel® Cluster Studio XE. These offer task-based abstractions to exploit parallelism with a set of task and data parallel models that are portable, scalable, reliable and future-proof. These models easily integrate into existing applications, preserving software and hardware investments. Fortran programmers, and many C programmers, should look at OpenMP. Fortran programmers also have the new Coarray Fortran capabilities in the Intel® Fortran compilers. Where can I get an evaluation copy of Intel® Parallel Studio XE 2017? 30 day evaluation versions of Intel® Software Development Products are available for free download. You can get free support during the evaluation period by creating an Intel® Premier Support account after requesting the evaluation license. What student discounts are available for Intel® Software Development Tools? Students are able to get all of our tools for a large discount. Intel is dedicated to helping students build skills to become more employable for jobs in the IT industry. If you are a college or university student enrolled in a degree-granting program, you will receive a significant discount off the retail price of select software development tools. What offers are available for academic researchers? Faculty using our tools for research purposes can receive a substantial discount compared to our commercial offerings. How do I get Intel® Parallel Studio XE 2017 SP1? If you have an active Software Subscription, you will automatically get the new release. You will receive an email notification, advising you of the availability and where to obtain update. You can also go to Intel® Software Development Products Registration Center. If your subscription has expired, you must renew or buy a new subscription. Additional Information. I am only interested in a single development language. What version of the tools should I get? Intel® Parallel Studio XE addresses development for C, C++ and Fortran. Intel® Fortran Studio XE and Intel® C++ Studio XE development suites are also available to address those developing only in a single language. 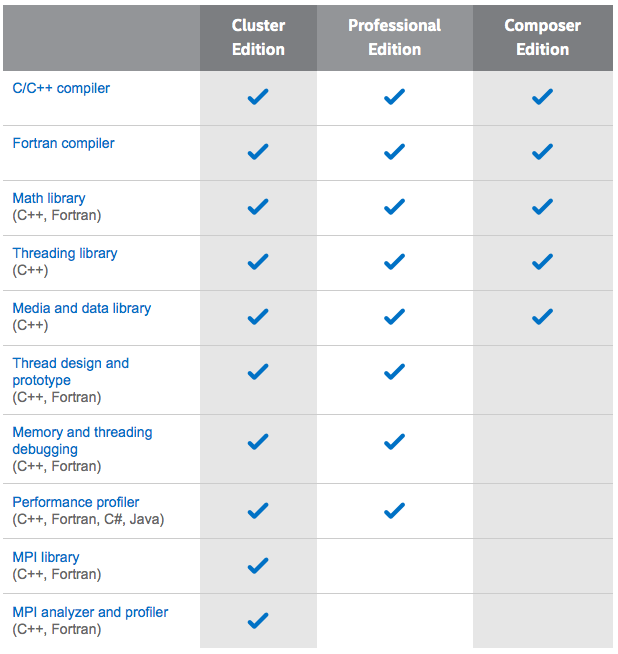 Intel® Cluster Studio XE is only available with support for C, C++ and Fortran.